The urge to speak no ill of the dead is a powerful one. And it was on full display this week as former Senator Jesse Helms was laid to rest. Although one brave North Carolina state employee, L.F. Eason, resisted that urge when he refused to lower the flag at his state lab to honor Helms and was forced to retire. Republican leaders including Vice President Cheney attended Helms' funeral. Senate Minority Leader Mitch McConnell of Kentucky eulogized Helms as one of the "kindest men" in Congress, and said, "no matter who you were, he always had a thoughtful word and a gentle smile." Which is a load of crap. Clearly, McConnell saw the charming face Helms could present to the world when he wanted to. But the real Jesse Helms oozed out nearly every time he opened his mouth to slander those who didn't agree with him. He claimed "crime rates and irresponsibility among Negroes are a fact of life which must be faced" in a 1981 New York Times interview, and in 1963 asked, "Are civil rights only for Negroes? White women in Washington who have been raped and mugged on the streets in broad daylight have experienced the most revolting sort of violation of their civil rights." 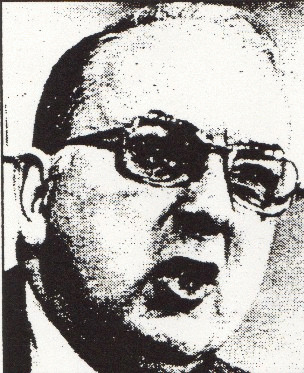 Helms reserved his full disgust for gays and lesbians, who he called "weak, morally sick wretches" (1994), accused of engaging in "incredibly offensive and revolting conduct" (1990), and warned his constituents to beware "homosexuals, lesbians, disgusting people marching in the streets, demanding all sorts of things, including the right to marry each other" (1990). Beyond his hateful words, Helms' bigotry was shown by his political aims. He led the opposition to the federal Martin Luther King Jr. holiday, supported the apartheid regime in South Africa, and consistently opposed civil rights legislation. For nearly two decades, he fought tooth and nail against expanded federal funding for AIDS research, and exploited gays and lesbians as convenient scapegoats in his constant fear-mongering crusade. Media post-mortems of Helms' career were also mostly deferential, especially in North Carolina, the state he represented in the Senate for five terms. N.C. television stations and newspapers glossed over almost all of Helms' ugly history as the last unapologetically racist politician of the segregation era. Even the liberal Raleigh News & Observer kept its gloves on, despite having been Helms' favorite press punching bag for years. It was largely a repeat of the softball treatment Helms got when he announced his retirement in 2001. Then, the Washington Post called Helms "one of the most powerful conservatives on Capitol Hill for three decades," and the New York Times said he'd been "a conservative stalwart for nearly 30 years." But they avoided serious discussion of how Helms stirred the pot of bigotry and hatred to win elections and further his political career. Helms grew up in small town Monroe, N.C., home to an active Ku Klux Klan. His father, Mr. Jesse, was the police chief and a mean, imposing 6' 4" man who didn't hesitate to intimidate and run roughshod over the civil rights of Monroe's black citizens. In North Carolina historian Tim Tyson's biography of civil rights leader Robert Williams, head of the Monroe NAACP, Williams described watching when he was eleven years old as Mr. Jesse beat a black woman on the street, then "dragged her off to the nearby jailhouse, her dress up over her head." He was haunted for years by the woman's "tortured screams as the flesh was ground away from the friction of the concrete." Interviewed in 2005 for the documentary Senator No and asked about Monroe in the 1920's and 30's, Helms said, "In so many ways I think the relationship between the races was far better than it is now. I could give you a thousand examples of why I'm convinced of that. I don't know of anybody who ever persecuted anybody of another race." Helms had his first brush with statewide politics in 1950. Employed as a radio reporter for conservative magnate A.J. Fletcher's WRAL network, he unofficially aided right wing Raleigh attorney Willis Smith in his primary campaign against incumbent U.S. Senator and North Carolina liberal hero Frank Porter Graham. Graham beat Smith in the initial Democratic primary, and Smith had all but decided not to call for a runoff. But three Supreme Court decisions undermining segregation were announced within weeks, inflaming racial tensions in the South. Helms took to the airwaves and urged Smith's voters to assemble at his Raleigh house and ask him to reconsider. A mob of supporters responded, and Smith called for a runoff. In the runoff, Helms used the skills he had learned as a reporter to help create scurrilous, race-baiting ads and handbills for Smith's candidacy. One was headlined, "White People - Wake Up Before It's Too Late," and asked, "Do you want negroes working beside you, your wife and daughters in your mills and factories? Frank Graham favors mingling of the races." The most infamous was a flyer featuring a fake photo, doctored to show Sen. Graham's wife dancing with a black man. Helms and his backers later went to great lengths to cover up his role in the Smith campaign, but as biographer Ernest Furgurson put it, "Jesse was in it up to his neck." Helms went to Washington with the victorious Sen. Willis Smith, hired as his top assistant.